Although some people erroneously assume that chive plants don’t have bulbs like other members of the onion and garlic family, they are bulb-forming plants. The bulbs are very small and conical in shape, so they don’t look like other types of onion bulbs. The stems are hollow and cylindrical in shape. The plant grows a pretty purple flower with six petals, a pretty addition to any herb garden. The emergence of these flowers is a signal of spring, since it is one of the earliest flowers to appear after winter. Growing this plant in a home herb garden isn’t hard. You can plant them from seed in the spring after the last frost. Plant the seeds about ½ inch deep. They prefer soil that is well drained, with a constant level of moisture and a consistent temperature of 60-70 degrees Fahrenheit. They prefer soil with ample air circulation. They need full sun. They don’t compete with other plants very well, so it is important to keep their growing area free of weeds. It’s okay to use compost that is aged. However, don’t use a lot of fertilizer, or fertilizer that contains a lot of nitrogen. Avoid mulching near the bases of the plants because this can decrease the air circulation in the soil around the plant. Chives are not prone to many plant diseases, and are not prey to many insects, so they make a welcome addition to a vegetable or herb garden. Once the plants are 6 inches tall, the leaves can be harvested by cutting them about 2 inches above ground level, using kitchen shears. It is usually best not to cut all of the leaves at the same time. This way the leaves can be harvested repeatedly throughout the season. Regular cutting encourages the formation of new bulbs. It also prevents flowering and prevents them from becoming tough and woody. As part of the onion family, chives have a somewhat similar flavor to onions and garlic. However, the flavor is noticeably milder, making them preferable in dishes where just a hint of flavor is wanted. They are often used to flavor potatoes, egg dishes, fish, sandwiches, sauces, dips and soups. Even though we eat them in small quantities, they are a very nutritious plant that is a good or excellent source of a large number of vitamins and minerals. If you grow them in your own herb garden, you can have fresh chives to use almost anytime. Mix together sour cream, and mayonnaise. Combine with lemon juice and salt. Add chives and lemon peel. Refrigerate a few hours before serving to let flavors dissipate. Stir again before serving. Low milk supply in nursing mothers. It also exhibits antibacterial and antimicrobial properties. The dill plant is a relative of coriander and fennel. 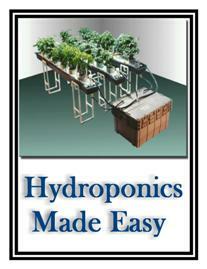 It is a great plant to have in an indoor or outdoor herb garden. Growing the plant takes a little bit of attention, but it’s not hard. The plant likes loose soil and sunshine. It usually requires minimal water and once it is established, it only needs to be watered when the soil and the environment becomes very dry. It is a delicate plant, so it doesn’t withstand wind very well; keep it in sheltered but sunny spot. It doesn’t compete very well with other plants, so its growing area within your herb garden needs to be free of weeds. The flavor is better when grown in unfertilized soil. Also, don’t grow it near fennel or coriander, since cross-pollination ruins the flavors of the dill, coriander, and fennel. It takes about 7 days to germinate. The leaves are ready to harvest and use in about 30 days, and it takes about 60 days before the seeds are ready to harvest. They are a great companion for other vegetables and herbs in the garden, as they help to repel aphids. The roots reach fairly deep, so if you want to grow it in an herb garden container, try planting a dwarf variety. A major key to successfully using it to flavor dishes is to use it fresh and not overripe. Flavoring potatoes with the leaves and seeds is easy and provides a subtle yet incredible flavor. After piercing each end of the potatoes with a fork, boil the potatoes (uncut) until they are tender in salt water with cut herb stems and leaves. (Measurements are not exact – use your own judgment) In a separate dish, mix fresh leaves with softened butter. After the potatoes are cooled slightly, they can be cut open and mashed with a fork, with the butter mixture spread throughout. *Serve while potatoes are still hot enough to melt the butter. This is a tasty, nutritive, and beneficial herb. If you are planning an herb garden, make space for dill plants! The bright green appearance and spicy fragrance of basil has endeared this herb to cooks for centuries. It brings a pungent, slightly spicy taste to soup, stew, stir fry, salad, and even sandwiches. Once you start cooking with basil, you’ll discover just how versatile this simple plant can be. Basil, sometimes called sweet basil, is a leafy green plant related to mint. It grows in long thin stems that can reach almost two feet in height. During summer, small white flowers appear on the tops of the stems. Bees and other helpful insects are often attracted to basil so gardeners favor these fragrant plants. There are many species of basil, almost all of which are used in cooking. The oldest species are known to have grown in India; Thailand and other Southeast Asian countries have also used basil in cooking and religious rites for several centuries. Today the herb is cultivated and enjoyed on nearly every continent. Basil requires little care and can be grown indoors and out; even apartment dwellers can enjoy the taste that fresh basil brings to their cooking. Simple flavors come together to create a magnificent traditional Italian appetizer. Serve this before your next Italian dinner or just as a snack. Roma tomatoes work best in this dish though feel free to experiment with heirloom varieties for added color and flavor. 1. Cover a cookie sheet with aluminum foil, shiny side down. 2. Mix together vinegar, garlic, basil, salt, and pepper; add half the amount of olive oil and mix again. Set aside. 3. Lightly toast bread in a warm oven at 250 degrees. 4. Remove bread when it starts to get a little crisp; brush bread slices with vinegar mixture and top with the chopped tomatoes. Brush any remaining olive oil on top of the tomatoes. 5. Place bread back in the oven until tomatoes get warm (about ten minutes). Pesto is a zesty sauce made with loads of fresh basil. This recipe adds sun-dried tomatoes for an extra burst of flavor. Add to pasta or use as a sandwich spread. 1. Place sun-dried tomatoes in a bowl of warm water. Set aside. 2. Add softened tomatoes, garlic, basil, and pine nuts into a food processor. Pulse briefly to chop the ingredients into smaller pieces. 3. Add olive oil and salt to food processor. Pulse a few more times until the mixture gains a fine, smooth consistency. 4. Pesto can be stored in the refrigerator for up to a week. This popular soup is the perfect way to experiment with different ingredients. Mediterranean herbs such as oregano and basil bring excitement to the dish. Fresh ground pepper deepens the vegetable broth and crushed red pepper adds a little kick. Cannellini beans are traditionally used though any white bean can be used. Use in-season fresh Italian green beans if you can find them. Lightly steam them before adding them to your soup. 1. Heat olive oil in soup pot over medium heat. 2. Add onion, garlic, spinach, celery, and green beans. Add spices as ingredients begin to soften. Lightly sauté until spinach is wilted and the onions turn translucent. 3. Add broth, canned tomatoes, zucchini, cannellini beans, and pasta. 4. Bring mixture to a bubble then reduce heat to low; simmer for approximately 20 minutes or until pasta is cooked. 5. Serve immediately. Soup can be frozen or stored in the refrigerator for around ten days. Who Knew Cooking With Sage Could Be So Healthy? It must be some ancient secret of grandmothers everywhere. Cooking with sage not only enhances the flavor of a traditional thanksgiving dinner of turkey and stuffing, but it has some amazing health benefits. Pretty sneaky, Grandma! And, it’s not just turkey and stuffing. Cooking with sage can actually bring out the flavors of nearly all meats and citrus dishes. We’re not the first to discover this, of course. Sage actually has a pretty colorful history, not just in epicurean circles either. There are several varieties of sage that are actually indigenous to different parts of the world. When cooking with sage though, there are usually to varieties that most people refer to: Winter Sage and Summer Sage. Most experts agree these spawned from the Mediterranean region, as the Romans, Greeks, and Egyptians all have history with the medicinal value of the herb. There is one particular variety, native to Central America, that your grandmother is probably less likely to use (unless she’s really hip and open-minded), and that’s a hallucinogenic breed. It’s usually used for spiritual practices, and not so much for cooking. Sage has one of the longest histories of any medicinal or culinary herb out there. One of the main reasons the Romans started eating it with meat was for the herb’s ability to break down fats and help with digestion. It is also credited with enhancing memory and brain speed, if ingested. It’s also been discovered that cooking with sage can reduce the effects of menopause, relax the nervous system, ease arthritis, and bring down fevers. Topically, the herb can be used to slow or stop bleeding and clean flesh wounds. Sage is a delicious herb that can be used to enhance virtually any meal. While cooking with sage is a great way to enjoy it, the French are credited with also creating a sage tea that has been enjoyed all over the world. In fact, the Chinese coveted the tea so much, they used to trade four bags of Chinese tea for just one bag of the French sage tea. As mentioned before, cooking with sage is epitomized with Sage Stuffing. Take a look at this internet favorite and feel free to get creative with it. This will make 8-10 servings and will only take about an hour to prepare-3 ½ hours total preparation time. Spread all bread crumbs in 2 shallow baking pans and bake in upper and lower thirds of oven until dry, Cool crumbs in pans on racks, then transfer to a large bowl and stir in parsley, sage, salt, and pepper. Melt butter in a 12-inch heavy skillet over moderate heat. Add onions and liver and cook, stirring occasionally, until onions are softened. Add celery and cook, stirring occasionally, 5 minutes. Transfer to bowl with crumbs and toss well. Add eggs, stock, and cream and toss it again. Transfer stuffing to a buttered 2 1/2- to 3-quart shallow baking dish. Bake, covered, in middle of oven for 30 minutes, then uncover and bake until browned, about 30 minutes more. Ready to be the hit of the party? Next time you cook any kind of meat, try this quick and easy rub that will enhance the flavor of any meal and make it seem as though you had been slaving away for hours. Combine the three ingredients and rub them on the meat of your choice. Cook to taste. Sage is one those herbs that you would gladly eat even if it didn’t have the huge range of health benefits that it does. Incorporating it into your diet will please your taste buds, as well as your immune system.